Around here, whether we’re into snowshoeing or savasana, we often include our furry friends in the adventure. Here’s a sampling of our regional bounty, from the playful to the practical. Petlandia is perfectly perched within easy playtime proximity to mountains, beaches, deserts, and rivers. Naturally it is also home to companies that make everything from running shoes and water socks to insulated parkas. Now one local company is offering gear for the most popular outdoor adventure: walking with dogs! The Reshod shoe is built to protect walkers from the elements — or even their dogs' paws — whether traversing forest trails or neighborhood sidewalks. Portland walking coach and shoe designer Carmen Jackinsky says her Reshod design protects the tops of feet in case they get tromped on, and has a patented midsole that lets walkers easily shift their weight to counteract tugs from an exuberant pooch. Combined with treads designed to grip on slippery surfaces without trapping debris and an even-keeled “zero-drop” footbed for smooth strides, these great new kicks just might become a NW staple. At Purringtons Cat Lounge, yogis share the mat with adoptable cats for an hour of all-levels yoga followed by a meditative session of lap-warming, purrs, and head bumps. At the lounge on Portland’s NE MLK Boulevard — where visitors can order wine, coffee, and snacks in the cafe — staff say yoga with cats is more than a novelty. Purringtons helps cats find homes while encouraging people to relax and socialize among feline friends. They say it’s about joy, happy energy, and “lighting the fire of compassion.” Sunday evening classes offer a warm fuzzy way to prepare for the week ahead. At PuppYoga in rural Forest Grove, yoga includes warm fuzzies from round-bellied puppies. Trainer Kristin Tarnowski raises assistance dogs, starting their specialized training and socialization almost as soon as they’re born. She saw a chance to socialize pups while treating visitors to adorable wiggles and cuddles, and PuppYoga was born. Puppies arrive in a cart, like a special delivery of puppy breath and cuddles. Instructors lead classes through puppy-centric asanas like balancing in tree pose while cradling a wiggly pup. We also love our fun runs and walks infused with canine cheer. Many local animal charities offer dog-friendly events for all fitness levels. The biggest — Oregon Humane’s Doggy Dash — draws thousands of dog lovers to McCall Waterfront Park each year. Every May, people and pooches walk or run, eat breakfast, shop, play in fountains and doggie pools, and socialize in pure Petlandia style. During warm-weather months, Animal Aid hosts a variety of pet-centered fitness events. Fitness Fur All features a mix of free and donation-based events including yoga with or without cats, a Bark-be-que, animal massage lessons, and a morning trek through Mt. Tabor. Offerings also include classes like pet nutrition and CPR/First Aid. Posted in Events, Feature, Life with Pets, Pet Biz and tagged with Yoga, Hiking, Events, Walks, Petlandia. No matter the weather, it’s time to get out and about with your furry friends and support the animals in the community. 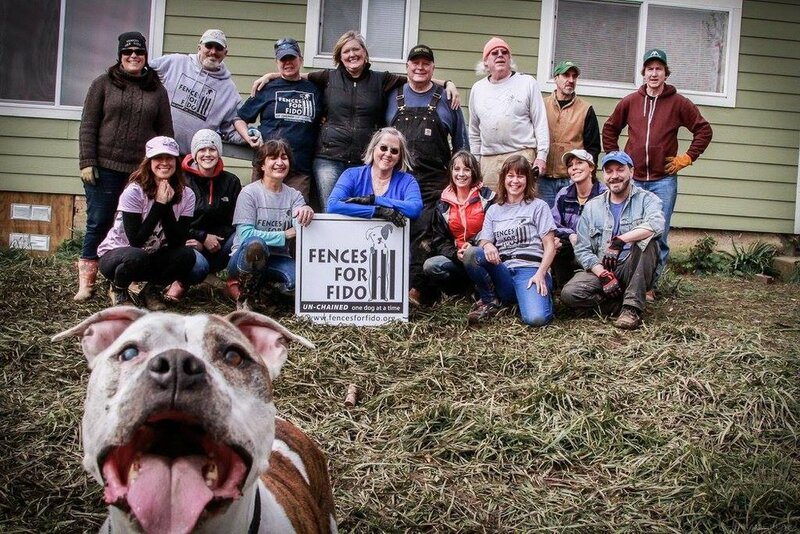 Several great organizations helping animals have their biggest fundraisers in the months ahead. Sat., May 5, 7:30am-11:30am at Esther Short Park in Vancouver, WA * Party in the park with over 2,000 people and more than 1,000 dogs (and other pets) to support the Humane Society for SW Washington. Choose a timed 5K run or 3-mile walk along the beautiful Columbia River. 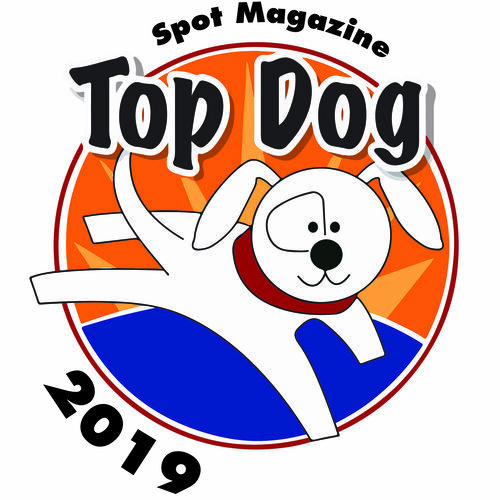 Dozens of pet-friendly vendors, dog agility demos, awards and fun for you and your dog. Details/register SouthwestHumane.org. 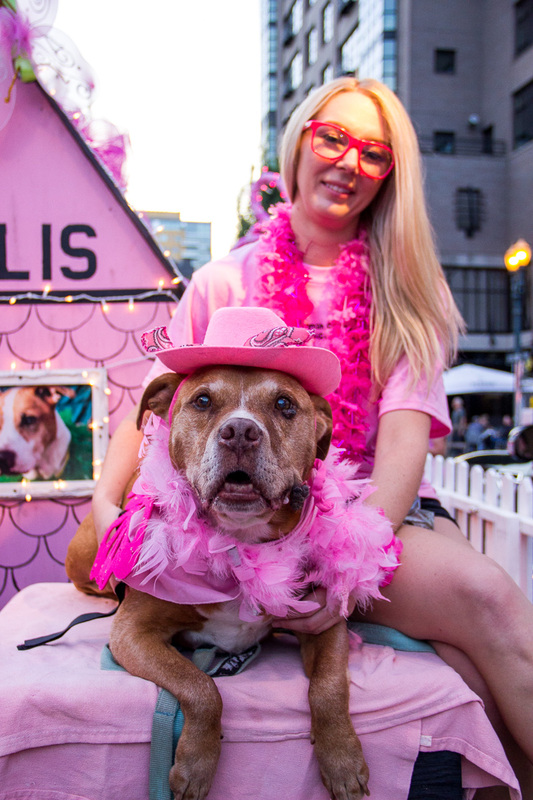 Sat., May 12, 7:30am-1pm at Tom McCall Waterfront Park in Portland, OR * Portland’s biggest party for pets and their peeps celebrates you, the animals you love and everything that makes Puptown a haven for pet lovers. Two fun run/walk courses to choose from – the Doggie Dash Classic 1.5 miles or the Bridge to Bridge 2.5 miles. Vendors, contests, live music and more round out this incredible morning of fun. Details/register OregonHumane.org. Sun., May 21, 7am-Noon at Alton Baker Park in Eugene, OR * On your marks, get set, GO! Leash up for a 10 or 5K run or a 2K walk at the 25th annual event for the animals at Greenhill Humane Society. Enter as an individual or a team and get a sweet doggie bandana and special anniversary t-shirt with registration. 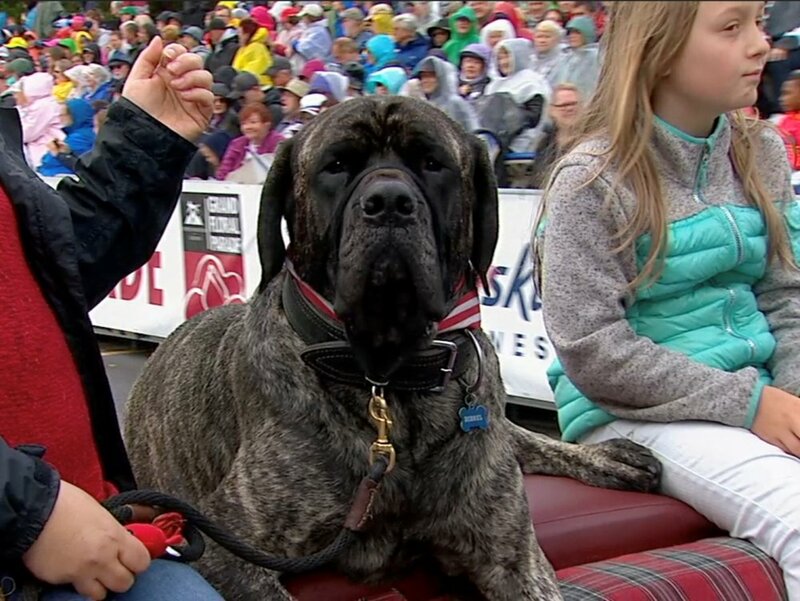 The line-up of fun also includes canine activities, contests, vendor booths, demos and more. Details/register Green-Hill.org. Sun., June 10, 8m-1pm at Riverfront Park in Salem, OR * Grab some friends and leash up the pups for the pets at Willamette Humane Society. Choose from the ambitious 5K (run or walk) or the more casual 1K strut. Afterwards, join other passionate pet people in the park for food, brews, music, games, demos and more fun. Family-friendly, group-friendly and of course, dog-friendly event! Registration includes t-shirt and race swag! Details/register WHS4Pets.org. Sat., June 16, 7am-1pm at Friends of Sam Jackson Park in Redmond, OR * Dog-friendly 5K or 10K run/walk supports the Brightside Animal Center and encourages participants to get out with their buddies although it’s not a requirement. For something more casual, there is also a 1-mile fun walk for families and their pets. Awards given for fastest finishers overall in each age division. Details/register BrightsideAnimals.org. Lace up your walking shoes and let’s go! Fetch all the pet-related fun by visiting the Good Neighbor Vet Furry FunPlanner and tune in to KPSU radio every Thursday at 6:05pm. 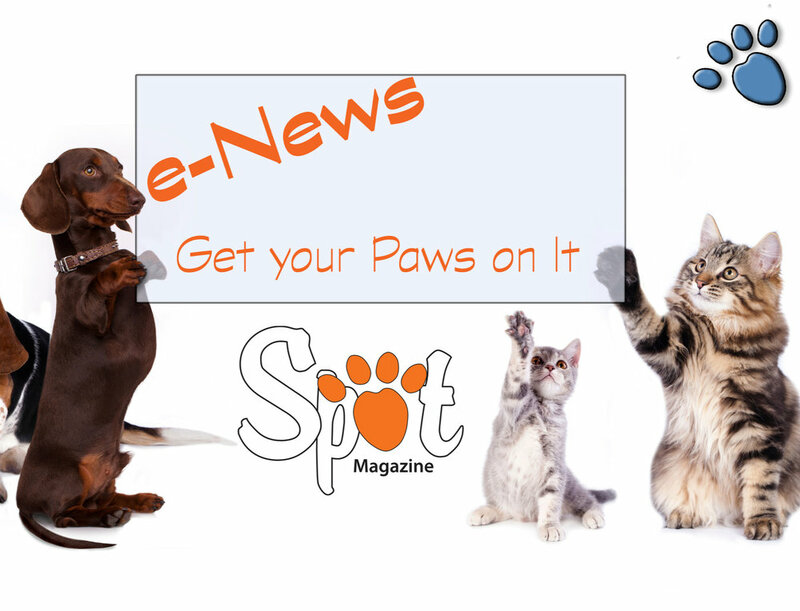 Posted in Animal Welfare, Events, Feature, Life with Pets and tagged with Walk/Run, Events, Fundraiser. May 1, 2018 by Spot Magazine. Get tickets and more details at whs4pets.org. Posted in Events, Fetch, Life with Pets and tagged with Events, Halloween, Willamette Humane Society, Fundraiser. 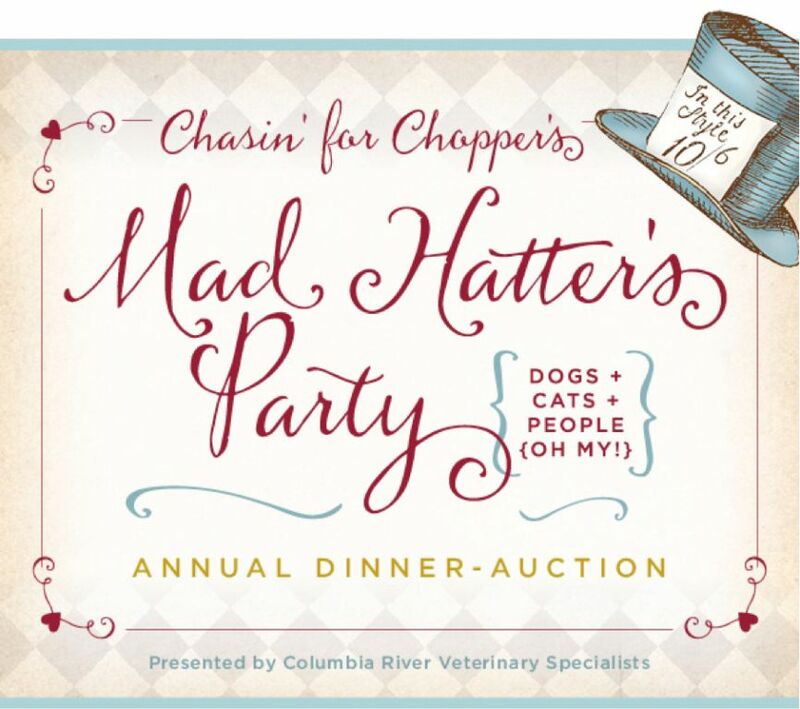 The Humane Society for SW Washington presents the “Chasin’ for Choppers Mad Hatter’s Party,” its annual dinner and auction to support the animals at 5pm Oct 7 at Red Lion Jantzen Beach. For tickets or details visit HSSW.org/auction, or contact Denise Barr at 360-213-2615 or dbarr@swhumane.org. Posted in Animal Welfare, Events, Fetch and tagged with Events, Fundraiser, Humane Society for SW Washington. Furry Friends will be offering their cats and kittens for adoption Saturday, September 9, 2017 at the Peace and Justice Fair held at Esther Short Park 415 W 6th St, Vancouver, WA 98660. It has grown into a huge family event, with more and more participants every year. Come on out and “purruse” the adoptable cats, talk with the Furry Friends volunteers relax and listen to music, get all sorts of info on what you can do to help the kitties besides adopting a cat and check out some of the great cat themed merchandise that Furry Friends will have for purchase. There will also be a raffle prize. Furry Friends will be offering discounted Avid FriendChip ID microchipping for dogs and cats on Saturday, September 9 from 9am to 2pm. The chips will be implanted in your pet by our volunteer licensed vet tech for only $20 (a $50 value). We will complete and submit the registration paperwork. Unlike other brands, there are no annual fees. Cats often do not wear collars, and may not have any other form of ID. A recent study showed that less than 2% of cats without microchips were returned home. However, if a cat is microchipped, the return-to-owner rate is 20 times higher than if the cat was not microchipped. This unique permanent identification gives your lost pet a much better chance of coming home. Furry Friends volunteers and the cats will be available Saturday from 9am-4pm. Come on out to meet the cats and volunteers or to learn more about the care of cats and the mission of Furry Friends. Furry Friends is a nonprofit, all volunteer, no kill, cat adoption organization in Vancouver, WA. Its mission is to help homeless, relinquished and abused cats by providing spaying and neutering, medical care and foster shelter for as long as it takes to find their forever home. For more information about Furry Friends, visit www.furryfriendswa.org, email information@furryfriendswaorg or leave a message at (360) 993-1097. Posted in Animal Welfare, Events and tagged with Microchipping, Vancouver, Cats, Adoptables. August 27, 2017 by Spot Magazine.